To define this term, think of the word "esteem" in general. When you esteem something you hold it in high regard. You treat it well. So self-esteem means that you value yourself and hold yourself in high regard. Self-confidence can spring from self-esteem and they usually go hand in hand. When you hold yourself in high regard and consider yourself as worthy of respect, then you have confidence in yourself. This doesn't mean that you don't recognize your flaws and quirks, but you know that overall you're just as important and just as worthy as the next person. But what about pride? How is this different and why is pride often considered a bad thing? Excessive pride means not just putting a value on yourself but putting a value that is above the value of others. When you're too prideful you put more value on yourself than is necessary and often allow this to lead to hurtful actions. Someone that is too prideful may indulge their own wants while neglecting the needs of their family. They may brag about something they have in front of someone that doesn't have these things without any concern for how it makes that person feel. In many circumstances pride has certainly lead to hurtful acts, but a measure of pride is not necessarily a bad thing. When a person takes pride in their home, they keep it well maintained and clean. When they take pride in their appearance, they mind their hygiene and arrange themselves nicely when it comes to their hair and clothing. Taking pride in one's children can be a good thing as well, to a certain extent. It might be said that the key here is balance. You can esteem something without putting it on a pedestal where it doesn't belong. You can have self-confidence and a measure of pride without letting these things hurt others. If you're balanced in your attitude then you're sure to have self-confidence and self-esteem without being too prideful. 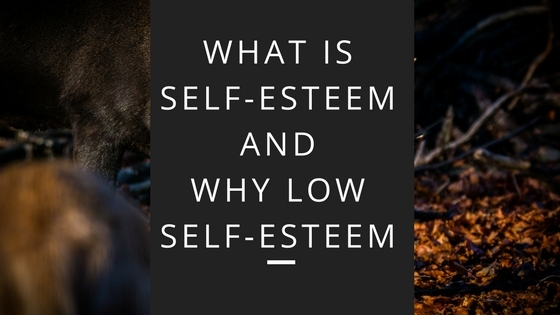 If self-esteem is so important and so beneficial and vital, why is it so low today? Humans have a sense of self-preservation, that is, they try to save their own lives when in danger, so why doesn't this type of behaviour translate to one's emotional health and life? Why don't we just naturally attach a sense of value to ourselves so that we can have the things in life everyone deserves and so that our lives become better and more fulfilling? Obviously the answer is complicated and no doubt different for everyone. What causes your low self-esteem will not be the same as what your neighbour or child suffers with. However there are some common factors that typically contribute to low self-esteem. Let's look at them here. hose that are not physically attractive have a harder time finding mates and even jobs. Often we judge those who are not physically attractive as being less than desirable or may assume they're lazy, stupid, or incompetent, even if we don't realize we're judging them this way. This isn't to say that this is a good way of thinking. A person's looks may have nothing to do with their character. Carrying a few extra pounds doesn't mean you're necessarily lazy and not having a handsome face doesn't mean you're stupid or incompetent. But as logical as that is, it still happens that people are judged by their looks. Which can make it difficult for those who are less than stunningly beautiful to have a measure of self-esteem? If you know that people judge others by their looks, and know that your looks are only average or less than, it becomes easy to think less of yourself as a person. Since you have less of what people value, you feel less as a person overall. Of course it can become even more difficult when people aren't even subtle about treating you different because of your looks. When you're rejected in romantic relationships or have people make crude or thoughtless comments about your looks, your self-esteem can take a nosedive. It's difficult enough to fight subtle rejections and judgment because of your looks, but when those things aren't even subtle anymore then it's even more difficult! Those that are overweight and obese seem to have a special problem with self-esteem as it's tied to their appearance. In today's society obesity is seen as being equivalent to having the plague! When you're overweight people often assume you're lazy, dirty, stupid, and all-around useless. It's not unusual for people to discriminate against the overweight and obese when it comes to jobs and even housing. Of course there's nothing to say that being overweight makes you any of these negative things. There should be no reason for someone to judge someone else because of a few extra pounds. But the fact of the matter is, it does happen. This can mean a terrible burden of low self-esteem for those that are struggling with their weight. There's no denying that one's family and personal relationships can have an lot to do with one's self-esteem. Messages received as a child can be difficult to erase from the mind, and the way a person is treated with friends and intimate relationships can also play a large part. The way a child is treated has a lasting impact on his or her life. When a child is taught that he or she is worthless, stupid, lazy, or for some reason unacceptable, this is a tough message to undo. Many who are abused or neglected as children suffer from poor self-esteem and a poor self-image throughout their entire lives. And it's important to note this can mean mental and emotional abuse as well. A child doesn't need to be physically abused to suffer long-term consequences. Words can hurt, and a child can continue to hear those words long after a parent has stopped saying them. There are other ways that a family's dynamics may come into play when talking about a person's low self-esteem. For instance, some family members may ostracize those who don't follow the same religion. They may also look down on one that doesn't get a secondary education or make judgments because of that person's job or financial situation, because of their choice of marriage mates, the way they raise their children, and for many other reasons as well. A divorce can greatly affect a person's self-esteem, especially if one's spouse was cheating or doing something else hurtful. It's easy to take their behavior personally; you may assume that if you were a better person they wouldn't do those things. Your ex-spouse may even tell you that. A person's social stature after a divorce can also affect their self-esteem. Their friends may ostracize them or neglect them out of awkwardness. Their own family may react negatively, as may the children. These things can chip away at a person's self-esteem every single day. The way a person's friends treat them will also affect their self-esteem. Some friends tease and make fun of others, not realizing how sensitive this person is. They may leave out a certain person from their plans and talk about their other trips and plans when in front of them. While this may be inadvertent on the part of those friends, it can still make a person feel as if they're lacking worth or if there is something wrong with them. And when a person lacks friends for whatever reason, this too can hurt their self-confidence. A person may be of a particular age, may not be very outgoing, or just may not have friends because of their situation in life. Whatever the reason, this can hurt their self-esteem as they wonder if they are the problem and if they even deserve friends. Imagine for a moment that every time you reached out to open your refrigerator door, you got a small shock. What would you expect the next time you went to the refrigerator? Patterns in circumstances can create physical, mental and emotional reactions in people. If every time you see your uncle Joe he makes crude nd crass remarks or is so rude that you become uncomfortable, you're going to naturally tense up every time you need to see your uncle Joe. If your boss is rude and degrading to you then of course you'll dread the sound of his or her footsteps. Suppose you try something and you fail or don't do so well at it. This might go back to when you were in school and didn't make the basketball team or cheerleading squad or got a "D" in chemistry. No doubt you were hurt and your self-esteem and confidence took a beating. Suppose you tried a few things and they didn't turn out the way you plan. You don't get that great job you applied for, you got denied a mortgage loan, that business you opened needed to fold after just a short time. How do you think these things might affect your self-esteem? Obviously if you try one thing and don't succeed you may very easily be able to continue trying and not give it much thought. You might not get that one job you applied for but get a different one. Another lender might give you a mortgage loan or you reapply in a few years and finally get a house. Everyone fails at something at some point in their lives or they don't do as well as they hoped the first time around. But often these so-called failures are put into perspective as achievements outweigh them overall. But when you seem to fail time and again or concentrate only on failed ventures, failed relationships, and other such circumstances, then it's easy to think that you will never succeed. There must be something wrong with you or else you wouldn't fail all the time, would you? This pattern can lead to that type of thinking which in turn chips away at your self-esteem. Your confidence levels are also affected by this pattern. If you are sure you will fail, how can you have the confidence to even try something? The abilities you do have will be overshadowed by what you see as being this constant failing in your life. Have you ever had someone betray your trust? Chances are you have; most people have at one time or another. It might be something old and trivial such as your best friend in sixth grade telling everyone about the crush you had on a classmate, or it may have been something more significant such as a spouse being unfaithful. The betrayal of trust hurts in many ways. Often someone that betrays trust can seem as if they're laughing at us, such as that friend that made fun of your crush in school. Or they can be taking advantage of us - you trust your spouse so you don't check up on him or her constantly, and they take advantage of that in order to cheat. But how is a betrayal trust, especially when it happens time and again, something that affects your self-esteem? How are the two tied in together? Usually we think, albeit self-consciously, that if we were worth consideration and respect then people wouldn't betray our trust. They don't betray the trust of those they have regard for, so we get the message loud and clear - we're somehow less than those who are respected in this way. Everyone faces rejection at one point or another in their life. Not getting a job to which you apply is a form of rejection. You may be turned down for a date or have someone break off a relationship. An offer to help someone is rebuffed, a potential friend doesn't return a phone call. When a spouse leaves or when children decide they want to live with the other parent, these are all forms of rejection. In many cases rejection can also be shrugged off if we have enough acceptance to make up for that. When one potential date rejects you but another begins a relationship with you, then the initial rejection doesn't seem so bad. A painful divorce can be much less so when we start a new relationship. One job application is rejected but another company hires you, and so on. However when rejection becomes a pattern, this too can rob a person of their self-esteem. If you were worthy and valuable and respectable then people would want you, not reject you. Unfortunately rejection can happen, not just with strangers but also with family and even so-called friends. One child might be overlooked as parents play favourites. Siblings may reject one child and use him or her as an object of teasing or bullying. In some families, a family member may be rejected if they don't share in the same religious beliefs. All of these things can add up to a pattern of rejection and bad feelings about oneself. So what about you? Why do you lack self-esteem? What are your different issues? If you're like most, you may be struggling with many different issues related to your self-esteem, not just one. You may have been rejected quite often as a child and may have failed at some attempts in different areas. Or maybe you put on some weight and were served divorce papers at the same time. Whatever the reasons, all hope is not lost. Self-esteem can be reclaimed and you can learn the healthy ways of thinking that will get it back for you. But let's first find out if you really do have low self-esteem and if so, to what extent. 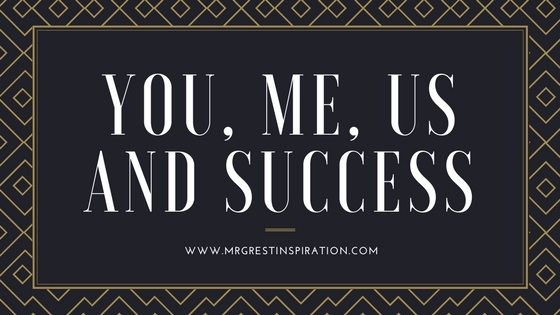 We hope guys you find our article "What is Self-Esteem and Why Low Self-Esteem" by Mr Great Inspiration useful.